Princess Cruises first set sail in 1965 with a single ship sailing to Mexico. Princess -- and cruise vacations -- were catapulted to stardom in 1977 with the hit TV show “The Love Boat” set aboard the Pacific Princess, which introduced millions to the cruise vacations. Princess pioneered the concept of private balconies across all cabin categories. 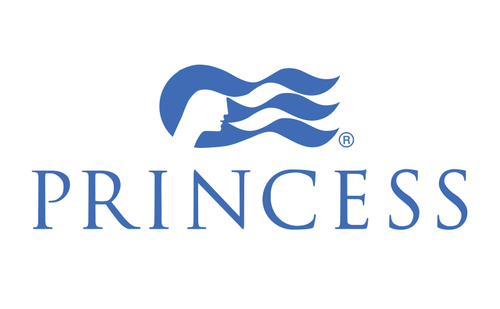 Today the 16-ship Princess fleet offers a range of sizes and amenities from large ships like the Grand Princess to mid-size vessels like the Coral Princess to small ships offering an intimate experience, Pacific Princess and Ocean Princess. The cruise line sails on more than 100 itineraries to more than 300 ports on all seven continents as well as a world cruise. Princess has a strong presence in Alaska, especially with its Gulf of Alaska cruises, sailing as many as eight ships during the Alaska season. Its Seattle-based Princess Tours division operates wilderness lodges, motorcoach tours and glass-domed-car rail tours of the Great Land in conjunction with the cruise itineraries. Two new ships will join the fleet, the Royal Princess in June 2013 and a second newbuild in 2014. These ships will have 50 percent larger atriums, a “SeaWalk” glass-bottom walkway extending 28 feet beyond the edge of the top deck; and private poolside cabanas.